Allen County Auction is owned by Allen County Realty, Inc. and operated by Jack Franklin and John F. Brocker. The business was started in 1980. Our mission is to provide our clients and customers with the highest level of professional, courteous, honest and ethical service and to obtain the highest possible price for the finest quality merchandise, sold at absolute auction without minimums or reserves, in order to ensure the finest auction experience. 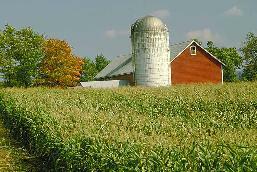 Personal Household Items, Real Estate and Farm Real Estate and Equipment. We do all the Hand Bills for Free.